My Service Log is a web-based application that you and your users can access any time from anywhere with an internet connection. Tronics hosts the application and its secured databases in a Tier One co-location facility in Jersey City, New Jersey. Tronics maintains a full featured, quality hosting infrastructure to support the My Service Log application. Database and application servers are secured to industry standards for passing and storing private user information, social security numbers and financial data. Our systems have numerous redundancies to ensure maximum uptime and application availability. 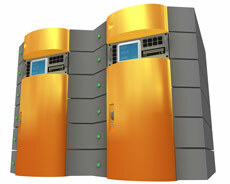 We also have several onsite and offsite backup mechanisms to safeguard your data.